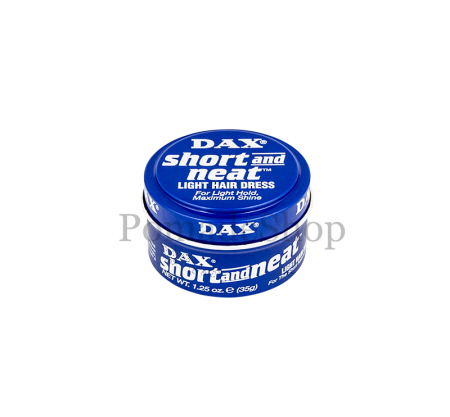 Product information "DAX Short & Neat (1.25 oz) - SMALL"
This pomade is a bit more liquid than most pomades. It has the advantage of making the hair look natural. But you should be careful that you do not lubricate the hair too much, because the hair could then look greasy. “The DAX Short & Neat "is a nourishing pomade for the winter. In summer, this soft pomade should be used rather sparingly. This is a very good pomade for first-time users. links to "DAX Short & Neat (1.25 oz) - SMALL"
customer reviews on "DAX Short & Neat (1.25 oz) - SMALL"